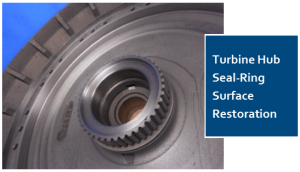 Our remanufactured torque converter covers for Allison World transmissions ensure that your rebuilt transmission is assembled with a cover that meets original specifications in all areas, including the two common wear areas – the front pilot outside diameter and the turbine hub seal-ring surface. In addition, we check and polish the piston seal bore and completely clean the cover, restoring it to like new appearance. 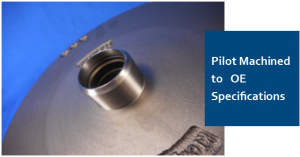 We stock both the early (snap-ring) and late (threaded) styles for both the HD and MD models and can ship same-day with a core charge to be credited upon return of a same-style core within 30 days. For a limited time, Get a Great Deal on an early (snap-ring) style cover without the need for a core return. Most applications will accept either style. Send your covers to us and we’ll assess what needs to be restored. 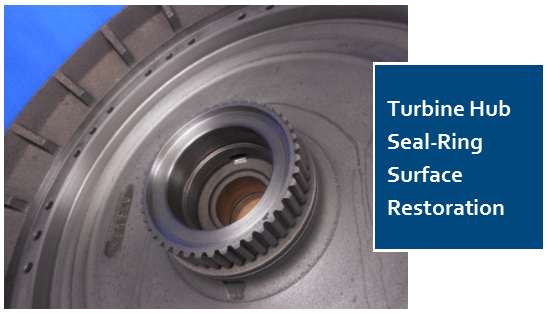 Single area restorations of your part are available from as low as $153. Allow 2-4 weeks for Turn-Around.